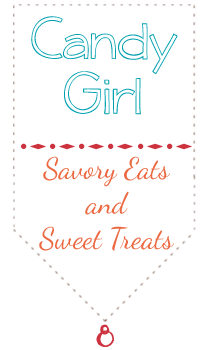 One of my blogging regrets is that I did not join the baking group 'Tuesdays with Dorie' when I had the opportunity. I love, love, love Dorie Greenspan and her wonderful book Baking From My Home to Yours and the wonderfully creative things the members of Tuesdays with Dorie do with her recipes. 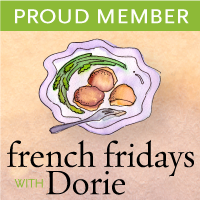 So when I found out that Dorie had written a new book, Around My French Table, and there was a group planning on cooking their way through it - I immediately signed up. Dorie Greenspan is a master at writing recipes. Her recipes include clues that use all of the senses (i.e. the sound of the food processor will change, the mixture will include pieces the size of peas, etc.) and therefore empower the reader to cook with confidence. Dorie choose the first recipe for the group which happens to be the first recipe in the book - Gougeres. Gougeres are elegant cheese puffs that start with a pate a choux. I have made pate a choux before and love that the elegance of the final product is in stark contrast to the ease of preparation. I chose to use a sharp cheddar cheese this go round but plan on using Gruyere next time. These freeze beautifully and I actually found that the batch I baked after freezing puffed up better than those I baked right after mixing. Light and airy, they melt in your mouth and are absolutely delicious! I plan on making these slightly bigger next time, then using them to sandwich ham and chutney during the holidays. Please check out the rest of the group's post by visiting here! I didn't know there was a new group starting. It will be fun to follow all the posts. I'm sure I'd love these tasty little puffs. thanks for stopping by. Your site makes me think of a yummy box of chocolate. Thanks for stopping by my blog. Your gougeres look fantastic. I can't wait to try the cheddar version (maybe with a pinch of cayenne). I also regret missing the boat on Tuesdays with Dorie, and I completely agree about Dorie's writing style. Yours look great! They are round and fluffy!! You mentioned the batch you froze puffed better, I might have to try freezing the next batch I make first! I wish I even thought of freezing these! Did you cook them up from frozen or thaw them out? I guess I will have to make more. Yours are gorgeous! So happy your baking with us! I love your gougeres! I hope to bake the next recipe. Life is so busy with two playing soccer! Your gougeres look so light! Beautiful! Oh, I'm glad to hear that they puff up better after freezing, can't wait to try that. Your gougeres look perfect... nice and cheesey inside. Good work! Your gougeres look great. Great to know that the frozen batch puffed up better! So glad to see that you're also cooking along with FFwD. I also used sharp cheddar cheese in mine and absolutely loved them! Your gougeres look puffy and delicious.